In the midst of major shifts at San Diego State, the biggest promises to be the new president, one who seems intent on leading a wave of change throughout campus. 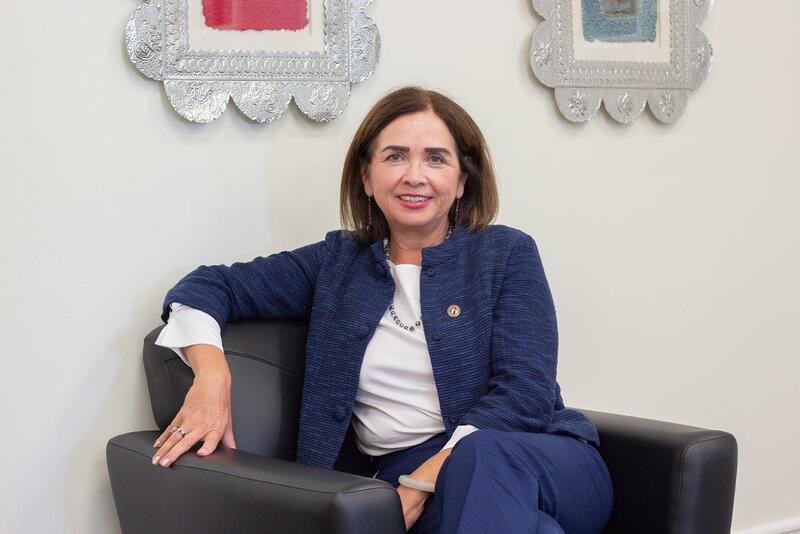 “My identity was really formulated through opportunities that I had in education as being a border-crosser, a bicultural, a Chicana and a person who really had her roots in the community in a very different way,” SDSU’s newest president, Adela de la Torre, said. She said it was in college that she was able to fully own her identity as a Chicana woman. Now, she will be beginning the semester as SDSU’s first female president of color. This is bound to be a busy first year as president. 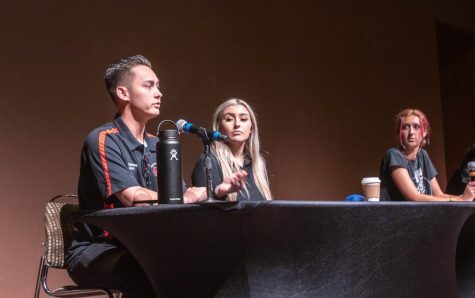 This semester alone, de la Torre will face the university’s prospective acquisition of the Mission Valley stadium site, the implementation of the Aztec mascot task force’s recommendations and the continued pressures of running an expanding university. 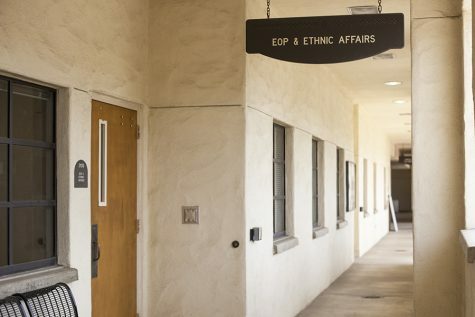 In light of this new start, de la Torre sat down with The Daily Aztec to discuss her plans for the university, including the issues of diversity, transparency, the SDSU Mission Valley site plan and how she plans to build upon the work of her predecessors. The following is an interview of President Adela de la Torre by Bella Ross and David Santillan of The Daily Aztec. It has been edited and condensed for clarity and brevity. In your previous position as an administrator at UC Davis you were known for your commitment to diversity. How do you anticipate this commitment will influence how you approach this position differently from your predecessors? Already, one of the first positions that I have implemented, which will be announced shortly, is the Associate Vice President for Academic Diversity and Inclusion. That’s a very important position because one of the areas in higher education that is very difficult to address is the area of faculty diversity. It is very important to create, within any higher education institution from the top, an urgency and commitment to the diversity of faculty, staff and students. In our case, we are already over 50 percent diverse students. We have a lot of diversity with our students but we haven’t met that in regards to faculty and administrative leadership. We need to commit to that as well. What message are you hoping to communicate to the SDSU community as the first Latina woman to hold this position? I am honored and humbled about having this position. I think it creates an opportunity to bring different voices to the table. I think, within the context where we are situated on the border in a region that has such a sizable Latino community, that it sends an important message. 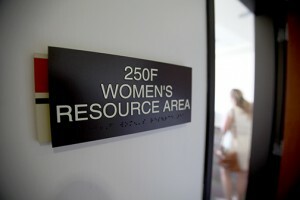 I do have to provide kudos to the Board of Trustees and Chancellor White in their commitment to not only bring over 50 percent women to the CSU but also diverse women. It speaks to the future of higher education in reflecting what our students are. Our students will be the leaders of the future and having different mentors reflecting that population will help them in that path as well as providing them opportunities for internships and career pathways that might be critical for their own success. You will be taking this position during a busy time for the university. 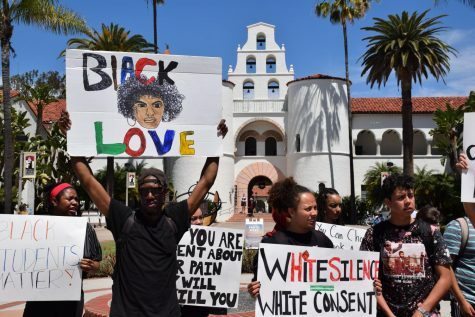 Just in the past few months, SDSU has consistently made headlines for everything from the university’s prospective acquisition of the Mission Valley stadium site to the heavily anticipated changes to the school’s mascot. What will be your priorities as you embark on your first year as president? My mantra centers around one thing: students. When I speak about global citizens, compassionate leaders or ethical innovators what I’m really talking about is that everything we do should impact the quality and opportunities for our students. When you think about Mission Valley, the question is always how will this improve the opportunities for our students in terms of educational opportunities. If you talk about investments in infrastructure, either on or off campus, the question is how will be create the environments for our faculty so they have the types of spaces that allow them to develop the types of research projects that are meaningful for our students. 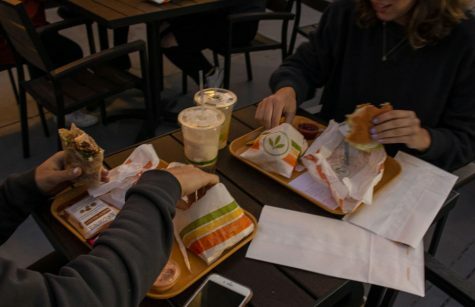 Many of our students are very committed to things like global warming, sustainability, environmental justice, social justice, community engagement and innovative technology. I could go down the list. 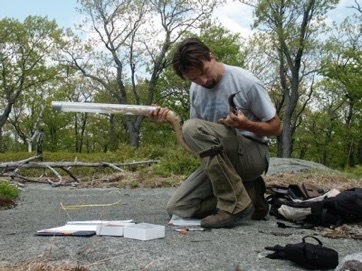 Our students are amazingly innovative in what they do and how they do it. So, we need to be really thinking about, as faculty and staff, are we really going to be able to catch up in a way that give our students the best opportunities for our careers. That mantra guides everything else that I talk about. With an enrollment of over 30,000 students, SDSU has pushed the limits of what it means to be a state university. How will you work to make students feel connected to you on such a large campus? I am using social media. I have my Twitter and my Instagram. I’ve also spoken with Chris Thomas regarding use of Facebook Live. I’m in the process of developing office hours. Again, what I’m actually going to ask the students is to provide those opportunities in which I can engage with them. I’m going to be attending a lot of different events with students. I’m going to be going to not only athletic events but also community events. So, I am really going to try and see how I can participate. In the back of my mind, I thought of even teaching a class in the spring. You never know. Quite frankly, I’m hoping through the social media channels, the students, the leadership, people like Chris Thomas and their team that I can provide ways in which I can be further visible. I’ll also be biking around campus. One of the top national issues of our generation deals with the increasing costs of pursuing higher education. How will you work to make a university education more accessible to students in light of increasing higher education costs? I think we have to recognize that there is a fundamental issue that we have to work with our legislators on and that is engaging and investing in higher education. I am very committed and pleased to say that we have about a $20,000 average debt difference than, let’s say, the average debt in the nation. But, I think we can do more. In other words, I am very committed to making sure we can find other avenues like scholarships. I also think we need to find ways in which we can really make a four-year degree a reality for students. We can really start looking at Summer Session. We also need to use Extended Studies in a way that allows students who may have dropped out to finish their degrees. We need to look at online education in a way that (works for) students who have to work certain schedules. There are different ways that we can look at it. So, I think we need to re-engage now that we have a lot of funds at the state level to help reinvest in our higher education system to reduce costs for our students. In recent years, SDSU has made a number of changes, including the implementation of the Sophomore Success Initiative, that indicate the transition of SDSU from a commuter to a residential institution. How do you plan to progress this transition and what are its benefits? The Sophomore Transition Program is really based on national research that focuses on the fact that if you have students engaged though their sophomore years, they’re less likely to drop out and less likely to have problems in the transition. Most of the energy in universities is always focused on the freshman experience with stuff like orientation and Aztec Nights. Then, what happens when you’re a sophomore? Things kind of just fizzle. 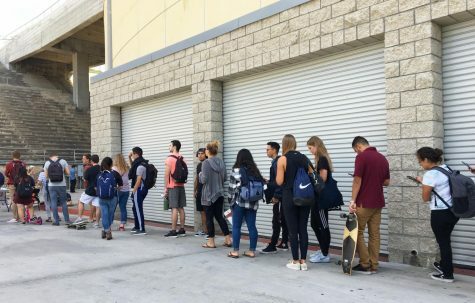 The idea is that, by keeping students on campus for another year and providing that level of support, that they will be able to graduate on time. I think the focus on housing is really to meet a demand for residential housing that is important to our students. It is difficult sometimes to find housing that is affordable and accessible as well as providing all the amenities. It’s about making sure we have accessible housing to support our students through this particular period of transition. One of the biggest SDSU news stories at the moment deals with the university’s prospective acquisition of the stadium site in Mission Valley through the SDSU West initiative. 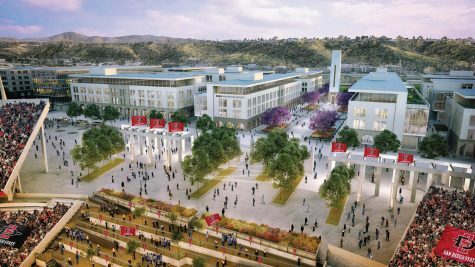 What do you believe are the top things SDSU community members need to understand about SDSU Mission Valley site plan prior to this November? First of all, I think it is really important to understand that this is really the only acceptable option for expansion for San Diego State. In other words, the actual location of it is such that those who are here can take a trolley and if they have a program – an internship, a research program, a clinical rotation – that they’re doing, this is the only space available that’s continuous that is next to us in any real way. It’s a once-in-a-lifetime opportunity. Secondly, I think it’s important for them to understand that this is a public good. It’s about the broader future of San Diego State and its impact on the community. San Diego State is a powerhouse university. It’s going to be a hub, it’s going to be a neighborhood, it’s going to be an area for students to experience the types of opportunities that will bridge the workplace with the educational experience. As a university that is located in a border city, SDSU has a lot on the line when it comes to the state of DACA. However, the university’s progress on providing resources to undocumented students continues to lag behind the efforts of many other higher learning institutions. 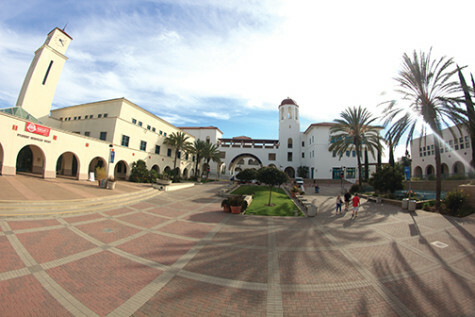 As somebody who has voiced a passion in supporting undocumented students, how do you plan on bringing SDSU up to speed? One area that I am exploring is the idea of having a legal fellow, which was something we developed at UC Davis. It is important for (DACA students) and their families to have legal counsel and to understand their choices. So, I’m actually in the process of exploring that option. I’m going to listen well to the community before I make any final decisions. In February, The Daily Aztec published an editorial accusing the university of having a transparency issue. Instances of this include the decision to mask the names of those on the Aztec mascot and moniker task force, the university’s protection of a fraternity that had made numerous infractions and the decision to conduct last year’s presidential search largely behind closed doors. 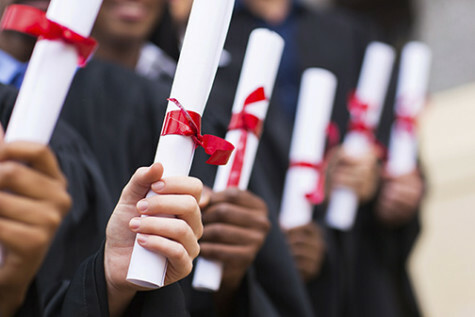 Is improving university a transparency a priority for you? We recently had a shared governance committee (meeting) with the idea that transparency is key. Over the summer they’ve been meeting, they’ll developed a document, it isn’t live yet, but its contents speak to these issues of creating a system where communication, respect, transparency and accountability all come hand in hand. I would say that this document that is still in the discussion phase is going to be key in answering this question.